(1962). 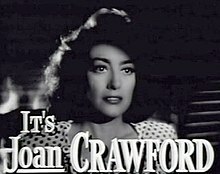 A Portrait of Joan: The Autobiography of Joan Crawford. Doubleday. ISBN 978-1-258-17238-1. (1972). My Way of Life. Simon & Schuster. ISBN 978-0-671-78568-0. ^ Thomas S. Hischak (2008). The Oxford Companion to the American Musical:Theatre, Film, and Television: Theatre, Film, and Television. Oxford University Press. p. 174. ISBN 978-0-19-533533-0. http://books.google.com/books?id=XbBz3C4Gr0EC&pg=PA174. ^ Mark Knowles (2009). The Wicked Waltz and Other Scandalous Dances: Outrage at Couple Dancing in the 19th and Early 20th Centuries. McFarland. p. 233. ISBN 978-0-7864-3708-5. http://books.google.com/books?id=XAzP__xv7CkC&pg=PA233. ^ Liz Sonneborn (2002). A to Z of American Women in the Performing Arts. Infobase Publishing. p. 43. ISBN 978-1-4381-0790-5. http://books.google.com/books?id=Yf2741A_BkYC&pg=PA43. ^ Lawrence J. Quirk; William Schoell (2002). Joan Crawford: The Essential Biography. University Press of Kentucky. p. 1. ISBN 978-0-8131-2254-0. http://books.google.com/books?id=_yQtRavDvtUC&pg=PA1. ^ James Robert Parish (2011). The Hollywood Book of Extravagance: The Totally Infamous, Mostly Disastrous, and Always Compelling Excesses of America's Film and TV Idols. John Wiley & Sons. p. 72. ISBN 978-1-118-03902-1. http://books.google.com/books?id=CJS5RL7eqdsC&pg=PA72. ^ Time magazine (June 23, 1947). LIFE. Time-Life Inc. p. 45. ISSN 0024-3019. http://books.google.com/books?id=N0gEAAAAMBAJ&pg=PA45. ^ a b Spoto, Donald (2010). 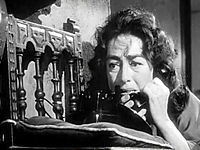 Possessed - the Life of Joan Crawford. Harper Collins. pp. 6-14. ISBN 978-0-06-185600-6. ^ Time Inc (June 23, 1947). LIFE. p. 45. ISSN 0024-3019. http://books.google.com/books?id=N0gEAAAAMBAJ&pg=PA45. ^ Quirk, Lawrence J. (2002). 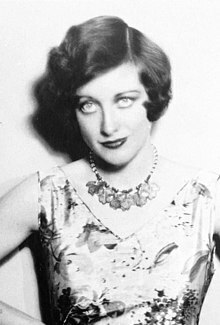 Joan Crawford: the essential biography. Lexington, KY: University of Kentucky Press. p. 124. ISBN 0-8131-2254-6. http://books.google.com/books?id=_yQtRavDvtUC&printsec=frontcover&dq=crawfrod+quirk&cd=1#v=snippet&q=volunteer&f=false. ^ Variety. Film review, 1945. Last accessed: February 7, 2008. ^ Quirk, Lawrence; Schoell (2002). 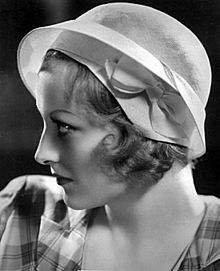 Joan Crawford: the essential biography. Twenty-First Century Books. p. 312. ISBN 0-8131-2254-6. http://books.google.com/books?id=_yQtRavDvtUC&pg=RA3-PA246&lpg=RA3-PA246&dq=Joan+Crawford+fang#v=onepage&q=fang&f=false. ^ a b c Redbook v. 165, Redbook Publishing, Inc. p. 25. OCLC 1763595. ^ Strouse, Jean (1978). "Mommie Monster" Newsweek: Volume 92, Issues 10–18. p. 134. ^ Different scenes were shot and turned into the theatrically released feature film The Karate Killers. ^ Pilot for "Royal Bay" Unsold Series aka "Fatal Confinement"